You guys, here I’m going to give you ideal solution to get rid of forgetting iPhone Passcode when locked out. Quick easy to understand how to reset your my iPhone, iPad or iPod forgot to unlock Passcode. According to Apple Providing security on the iOS device (Especially for iPhone X, iPhone 8, iPhone 8 plus, iPhone 7/ 7 Plus, 6S/ 6S Plus, iPhone 6/ 6+, iPhone SE/5S, iPad). Ever you forgot iPhone passcode or iPad or iPod Touch Passcode. I think yet you’re in fear to Turn On iPhone/ iPad or iPod Touch. Let’s go below and discover how to reset /turn on iPhone Passcode without iTunes/ with iTunes. There are Alternate ways sequentially unlock disabled iPhone, iPad. First, is using iTunes and Second method is Reset or Erase your iOS device data using ‘’Find My iPhone’’; the Third way is iPhone/iPad Recovery mode for that user who doesn’t have an iCloud account (Apple ID) and wanted to enable iPhone/ iPad without iTunes. Note – if you’re Enter the Wrong Passcode six times in a sequence; your iPhone, iPad or iPod Touch will be disabled. You’ll get a Black Screen message says your iOS device is disabled. As a Final option, if you can’t retrieve your Passcode though you’ll need to Erase and restore your iDevice, then use a backup to put out your data and get set back on your device. Connect your iDevice using USB Data Cable and Sync with iTunes. Then find your device in iTunes and Click on ‘’Restore iPhone’’, ‘’Restore iPad’’ or ‘’Restore iPod Touch’’. Now, Select your device in iTunes and choose recent backup to restore your iDevice. On Your device, find my iPhone is enabled then follow these steps to erase your device and Passcode. Step 3. Click All Devices at the top browse windows and select device which you want to erase. Step 5. 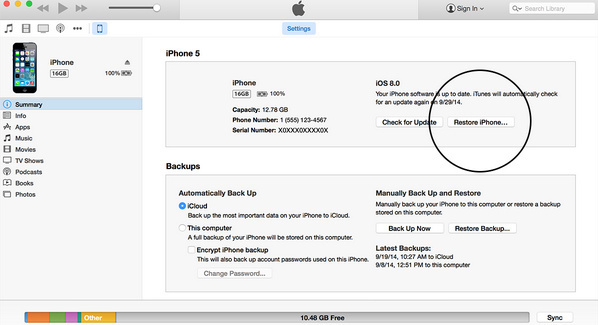 Now, you can use the setup assistance on your device to restore the most recent data backup. That’s it. If you’ve never sync your iDevice with iTunes or no setup of Find My iPhone, then you should require Recovery Mode to eradicate all data as well as forgot iPhone passcode, iPad or iPod Touch. Then you can restore Device as new or from an old backup. Step 1. Disconnect all cables from your iDevice. Step 2. Now, Hold Down the Sleep/ Wake Button of the iOS device, then “Slide to power off” to turn off your iDevice. Step 3. Let now, Press and Hold the home button and Plug your iDevice into your Computer. If your iOS device doesn’t turn on automatically, turn it on. Don’t release the Home button. Step 4. 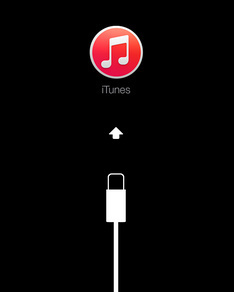 Next, continue holding the Home button until you see the connect to iTunes Screen. Step 5. If iTunes does not open automatically, open it, then iTunes will alert you that it has detected a device in recovery mode. Step 6. Click Ok. Then Restore your iDevice. If you fail to put your device into recovery mode, then repeat step 1 -4 again. Best way to clear forgot iPhone passcode. That’s it. Don’t hesitate you can ask us ever; if you do not understand the way regarding forgot iPhone Passcode when locked out. Keep in touch with us to know more iOS tips.